If you’re a lover of plants and are naturally blessed with green thumbs, you probably have a garden where you carry out your passion or hobby as the case may be. But there’s one problem that faces every single gardener and that is the fact that, much as you’d have loved to enjoy this activity that brings you so much pleasure all year round, you can’t afford to. Why? Because of the weather. Plants require optimal weather conditions to be able to thrive, and since humans haven’t become powerful enough to control the weather, a solution had to be found to solve this problem; it came with the invention of garden greenhouses. But what exactly is a greenhouse? There are plants that will only grow under-regulated climatic conditions, hence a structure is made to house them. This structure which is usually made of walls with a transparent material which can be glass or a PVC cover is referred to as a greenhouse. Now, we will go on into other aspects of greenhouses you should know about before deciding to purchase one. There are several types of greenhouses and in this section, we are going to briefly discuss each one and their uses so you can be sure about the type you need before settling for anyone. Cold Houses and Cold Frames: This type of greenhouse has no supplemental heat source so it is quite definite that the temperature inside the house will fall below freezing point when winter comes. Although limited by weather conditions, cold houses still have a benefit. With cold houses, you can begin growing spring crops a few weeks earlier than normal and even extend the season into the fall. Cool Houses: As their names suggest, cool houses are warmer than their cooler counterparts, cold houses. With cool houses, you can keep the temperature slightly above freezing point, between a range of 40 to 50 degrees Fahrenheit, i.e. 7 to 10 degrees Celsius. For plants that are frost-sensitive like Hibiscus and Geraniums, it is very important that the temperature is constantly kept above freezing point. But maintaining a temperature above freezing all year round in some areas is impossible, hence the need for cool houses. Warm Houses: Here, slightly higher temperatures are required (think 55 degrees Fahrenheit, which is 13 degrees Celsius). Because of the mild temperature, warm houses are more welcoming to a wider variety of plants, except for tropical plants. Warm houses aren’t ideal for tropical plants. Plants like ferns and orchids, on the other hand, will thrive when over-wintering in warm houses. Hot Houses: When using a hothouse, you will require a supplemental heat source. In fact, of all the different types of greenhouses, hothouses are the most expensive to maintain. However, this is where tropical plants thrive — in a hothouse. For instance, plants like gardenia, caladium and dieffenbachia need a temperature of at least 60 degrees Fahrenheit or 15.5 degrees Celsius to grow and so will require a hothouse. Conservatories: These are like the fashionista greenhouses. Because they are made for much more than plant propagation; that is, they are made to display plants also, they often come tastefully finished. You’d find that many of them come with furniture space, windows that are treated with ornate, and even finished floors. Other smaller greenhouses like the tabletop greenhouses and window greenhouses are often considered conservatories as well because they are mainly used for display purposes. Longer Growing Season: Unlike their counterparts left to brave the capricious weather conditions outdoors, plants grown in a greenhouse are more protected. Because greenhouses trap sun rays into an enclosure which leads to the retaining of heat, gardeners can easily extend growing seasons for as long as possible, especially for plants that can’t stand cold climates. Now, consumers can purchase fruits, flowers, and veggies all year round. Plant Isolation: Also, greenhouses help you to protect your plants from dastardly pests such as rodents, pesky insects, and other animals. When getting a greenhouse, ensure that it is sealed and caulked. If your greenhouse is airtight with access to ventilation, you’ll not only protect your plants from pests, you’ll also protect them from diseases. Protection from the Elements: Unpredictable weather can spell disaster for plants, as well as gardeners; another reason a greenhouse is advised. With a greenhouse, you can be sure that your plants will always be protected from precarious weather come what may. Aside from that, you can worry less about soil erosion when planting in a greenhouse. So, should there be inclement weather, and you’re far from home, you can rest assured that your plants are good. Control over Produce: By growing your own fruits and veggies, you have control over the harvest, which means that you’re no longer at the mercy of commercial farmers, many of whom use chemicals in their farming processes. Many of these chemicals still linger on the produce and have adverse effects on human health. When you grow your own, however, you have a fresh supply of healthy, delicious, and fresh produce all year round. 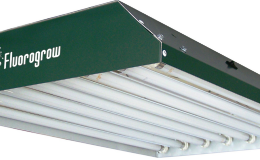 External Climate: The external climate will ultimately impact on the temperature of your greenhouse unit. If you get a freestanding greenhouse, you also get more control over the temperatures in the unit, when compared to attached ones. And that’s because the attached ones will, depending on what time of the day it is, be in the shade provided by your house. Internal Climate: The temperature you want to be maintained in your greenhouse will affect how much extra hardware you’d need. If you’ll be needing a heater, also consider that it will have to be powered, whether by gas or by electricity or propane. If your greenhouse is just to see your seedlings through winter, then consider getting a cool greenhouse. You’d also need a bubble insulation (some say you can also use a swimming pool solar cover) to keep your tender plants from frost. Tender perennials would need a warm house. And to maintain the temperature at 55 degrees Fahrenheit, you’d have to get a greenhouse heater. Like we said earlier, hot houses cost a pretty penny to maintain but they are best for tropical plants. Hence, unlike the warm houses, you’d need a stronger heater that will run day and night, depending on the climate where you live. Stability: There are portable greenhouse options as well as permanent ones too. Most gardeners living in windy areas with extreme temperatures might prefer a portable option so they can easily move when inclement weather comes. But then again, there are permanent greenhouses that are stable against unfavorable weather, even though they are more expensive. Quictent is a creative and innovative brand that has brought fun and happiness to many homes and different people with its excellent range of shelter products from canopies to tents, to greenhouses. For all things shelter, shade and tents, you can trust Quictent to deliver on some of the most quality, high-performance products that last and stand out in aesthetics. Having done this for years, you can trust that this brand has all the experience and technical know-how it takes to deliver on products that you would love. As for prices and customer relations, one word: unbeatable! First off, it’s super easy to set up. All you need do to set up this extremely user-friendly unit is to stretch the pop-up cover; then take the two fiberglass poles and pass them through the top of the cover. And tada! You have your wonderful backyard greenhouse ready in an instant! Of course, we cannot overemphasize the importance of eco-friendly materials when talking about the manufacturing of garden greenhouses. Hence, the manufacturers of this product made it a point to only use raw materials that are friendly to our environment. 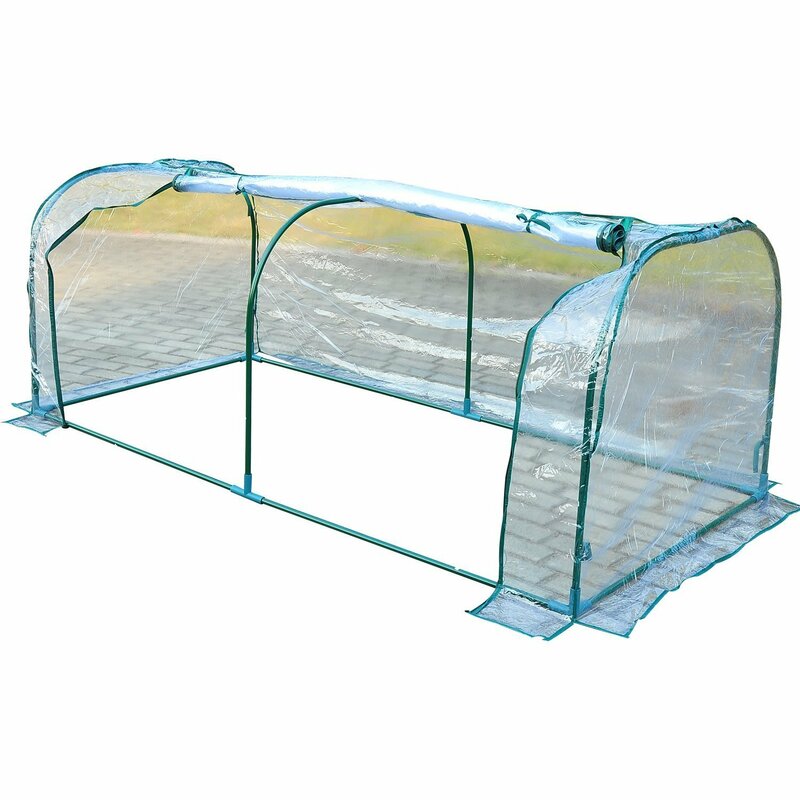 The cover, being made of transparent PVC, is waterproof, and also lets in enough sunlight for your plants. And that’s not all, the pop-up cover and the poles are made of the highest quality to ensure that this garden greenhouse over-delivers on performance and durability. For easy access, this unit comes with 4 large doors with zippers. With the buckles added to the doors, the doors are effectively protected and reinforced. Plus, there are also two screen windows (also zippered) which allow for adequate cross-ventilation. Because the cover of this unit comes with an extra long design, you can be sure that your unit will be airtight and well secure. Now, growing your plants all year round doesn’t have to be a white elephant project, simply get this great cheap greenhouse option that’s nice for your pocket and your plants as well. The Sunrise Greenhouse Inc is a small family business with a big heart. All it wants to do is to be a blessing to its customers by supplying them with only the best greenhouses possible while serving them with the best prices and the best customer care relations possible. Starting out in the 60’s, this brand has steadily grown, adding more and more greenhouses to its product lines, and growing their own plants as well. Being green thumbs like you, the team at Sunrise Greenhouse Inc knows all that its customers desire in an ideal greenhouse and ensures that all those desires are factored into the manufacture of all of its products. Still more greenhouses for sale over here! And at our number two spot is this really large, amazing backyard greenhouse: the Strong Camel New Greenhouse Hot Garden House. Not everyone might be able to afford a Palram greenhouse, but here’s an affordable greenhouse option that works so well we consider the price a giveaway! This unit is so easy to set up. It will only take you mere minutes and your greenhouse will be ready in no time and sitting pretty in your backyard. It’s very portable too, so moving the unit around will be a breeze. Because its cover closes fully, you can be sure that the humidity inside the greenhouse will be at an all-time high to ensure that your tropical plants and co are growing and thriving well. 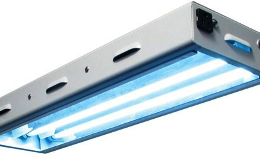 Plus the cover is also UV protected and comes with a large, zippered door for easy access. Its frame is made of steel, giving the entire unit stability. And to ensure that they retain their structural integrity as well as performance for a very long time, the poles are powder coated; protecting them from rust even while exposed to the elements. There are also middle rails added to this unit to ensure that your greenhouse is as stable as possible. With its extra large dimensions, you can be sure that this greenhouse unit will be large enough to conveniently contain a large number of plants. 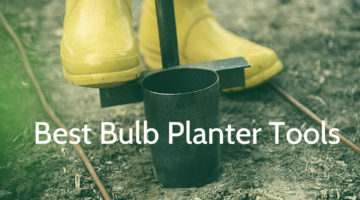 If your planting activity is just modest, just one of this is most likely going to be enough to cater to your needs. Quictent got into the business of manufacturing and supplying top quality greenhouses, canopies, portable garages, trampolines and the like many years ago and the experience it has amassed over the years has carved out a niche for it among the best. It constantly strives to keep you satisfied by creating innovative and unique products that remain relevant and durable. You matter to Quictent. You come first in everything and it prides itself on having succeeded in keeping you coming back for more, not just in the products department but also in the way it treats customers. 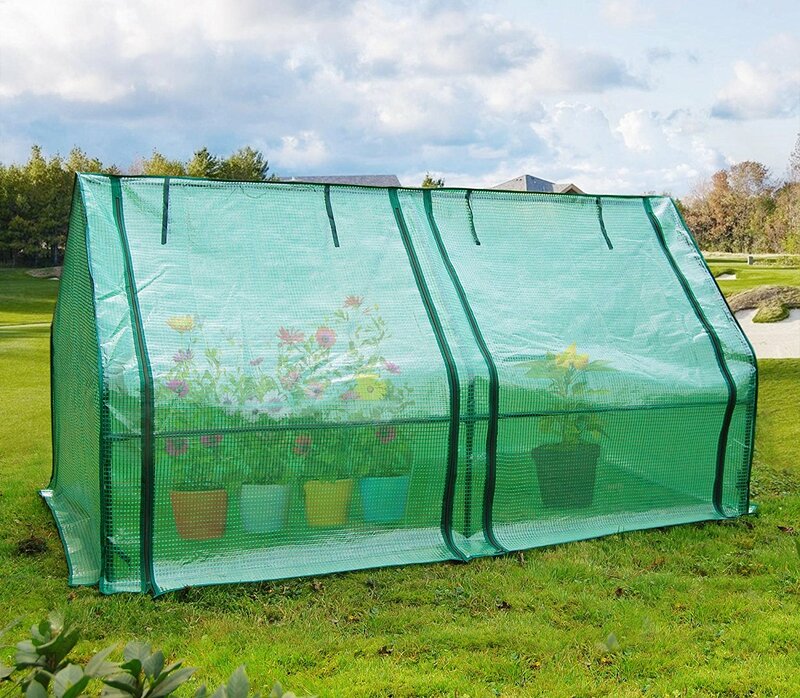 So whatever your leisure and garden needs are, Quictent has got your back and is committed to giving you the best, exemplified in the Quictent Waterproof UV protected Reinforced Mini, Cloche Greenhouse. This garden greenhouse is not one of those made with cheap greenhouse kits. The cover is made of transparent and flexible polyvinyl chloride or PVC; a strong type of plastic which is able to withstand the test of time. It does not wear out easily yet it is soft enough to allow the right amount of warmth and light that the plants need to grow properly. It is also fashioned to not give under the strongest of wind so you do not need to worry about leaving it out there in your backyard. The frame is made of powder-coated heavy-duty steel which would not rust easily nor bend under pressure. It fits sturdily into the ground and properly holds up the PVC cover so that together, they make a formidable team. The interior is spacious enough to sit a good sized nursery bed, you know, a bed that can comfortably sit in a small garden or backyard. Thing is if you have a bed in which seedlings of whatever crop or flower is already growing and you want to give it some level of protection, this greenhouse is the way to go because it is big enough to cover the bed yet small enough not to take up too much space. It is high enough to allow for standing space so you do not need to crawl or twist in order to check on your plants or water them. Besides all these, it can be used both outdoors and indoors. If you have an empty space in your garage or some other place within your house, you can place it there and it would fit perfectly. It was made just for you. For many decades, Quictent has produced some of the finest leisure and garden equipment available in the market. Despite its years in the business, its zeal, dedication, and passion have not waned but if anything, have waxed stronger. It recognizes that everyone deserves the best without having to break a leg to get it so its products are also affordable; everyone can find something to suit their need at a price they are comfortable with. Even when you have a complaint, its customer care puts you first and supports you to the last. You never leave the same way. So, from trampolines to grow tents and even greenhouses, like the Quictent Portable Cloche Greenhouse Mini Green Hot Garden House, Quictent has got your best interest at heart. It brings happy solutions to your needs. The frames of the Quictent Portable Cloche Greenhouse Mini Green Hot Garden House are made with powder-coated, heavy-duty steel. If you have not used a garden greenhouse whose frames gave out on you or rusted before you could say ‘hello’ then you may not appreciate the importance of steel frames. This one is sturdy and fits into the ground perfectly, holding up under any battering rain or wind. It does not bend easily and it does not rust. The sturdiness of the steel frame does affect its portability. It can easily be carried from one position to another without breaking your back. So if you want it to serve as an indoor greenhouse, it can be carried without having to dismantle it; and it would work as well as an outdoor greenhouse. 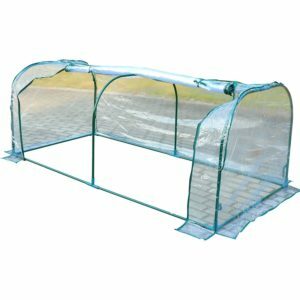 The transparent cover is made out of polyvinyl chloride (PVC) and this is adequate protection for your crops and flowers from pests and insects. It is a known fact that one of the major setbacks for farms and gardens are pests and that is why there are pesticides. However, pesticides can be harmful to both crops and people. So with this greenhouse, there would be no room for pests or pesticides and your crops would still be protected. This thick cover does not mean that the crops do not have the right amount of sunlight and air to grow. The cover absorbs heat and there are windows on the sides of it to allow air access to the crops. 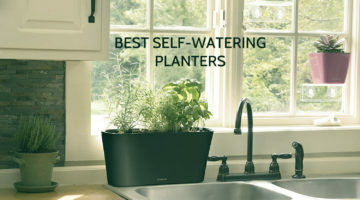 These windows also give room for easy watering. And the transparent nature of the cover makes it easy to see the progress of your crops, even from a distance. If you have been looking to buy a greenhouse, you are welcome. Weatherguard is a subsidiary of the Jewett-Cameron Company and specializes in the production of greenhouses both for residential and commercial purposes. It has developed its own unique round top designs for its brand of greenhouses because it understands that one of the reasons for needing a greenhouse is for protection. So its greenhouses have sloped roofs to easily shed water and snow. Because of this, many leisure gardeners and small-time growers have trusted Weatherguard over the years for their garden greenhouse needs and they have not been disappointed. If you are in the market for a greenhouse to meet your needs, look no further than this brand because you have a variety to choose from, starting with the Weatherguard Walk In Arched Top Garden Hot House. This outdoor greenhouse is a great way to start prepping your seedlings and crops for the planting season. It is also a way to start planting ahead of others. You do not have to wait for the right weather before you start because you have the room to control the weather. The vented windows further contribute to your control of the weather. It allows for proper cross ventilation but does not give room for excess air. It is also a fantastic way to grow your own crops, especially vegetables, all year round. You are not restricted by what is happening outside. And even if you do not want to leave it outside, it can equally be used indoors. Yes, it serves well both outdoors and indoors. 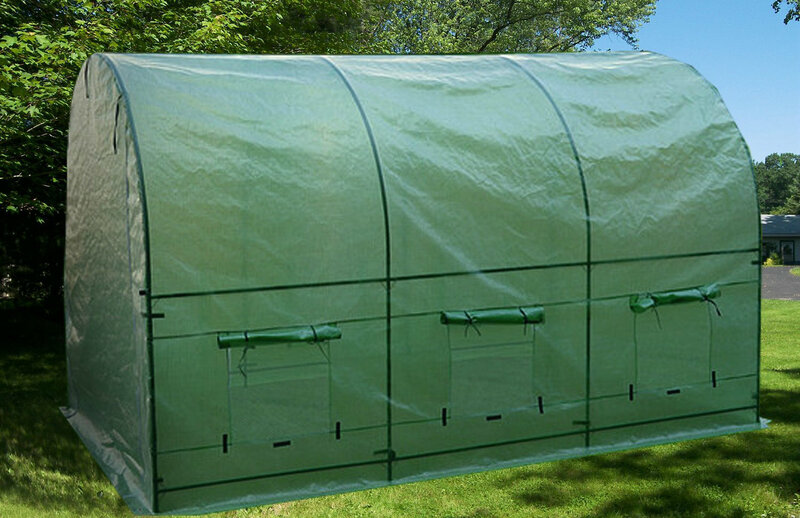 The translucent cover of the greenhouse is made to be resistant to mold. Mold is one of the banes of these greenhouse fabrics because they tend to be left outside for a long time during the planting season and if they are not well made, they would grow brittle, weak or get mold from being damp. But this particular one has been fashioned to resist mold, no matter how many times you use it. That is one less thing to worry about. 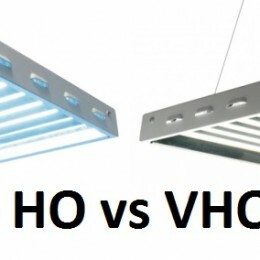 Not only does it resist mold, it also offers ultraviolet rays protection for your crops. No matter how fierce the rays are, the cover stands impenetrable between them. Yet, at the same time, it allows enough sunlight to penetrate through it for the crops, as well as air. So what it does is that it filters the harmful rays from the sun and allows only the right ones to reach the crops. For more than five decades, Palram has been in the forefront of the production of thermoplastic panel systems and sheets globally. Experience comes with time and creativity; and Palram has these, constantly presenting innovative and lasting technology for others to follow. Its expertise in the manufacture of these sheets and paneling systems also stems from adding its customers’ unique preferences into already existing methods and coming out with unbelievable, durable and solution-providing goods like the Palram Nature Series Hybrid Hobby Greenhouse, a garden greenhouse like no other, among other things. You are in safe hands with Palram because it understands your needs more than anybody else. Once you put this greenhouse up, you would see that it has a superb irrigation system. There are roof gutters that gather rainwater and transfer it through the pipes to the crops. You see, it cuts your watering chore in half. This feature is not common to all garden greenhouses but is a great one, especially in cases where there are different crops to water. You can control the amount of air that gets into the greenhouse by opening or closing the air vent on the roof. If it becomes too cold or windy, you can close them and if it is too hot within, you can open them to reduce the temperature. It is all up to you. The clear polycarbonate panels with which the sides are made filter harmful ultraviolet rays from the sun so that they do not get to the crops while also effectively diffusing heat to every corner. These panels are some of the best greenhouse kits for sale because they offer extra positive properties. The clearness of the panels equally means that no part of the greenhouse gets less sunlight than others; every crop is adequately supplied. Furthermore, the panels will not become discolored or wear out with time. The approximately 60 square feet of free space on which you can place your nursery beds and plant pots is made of galvanized steel. This is reinforced steel to eliminate the chances of rust over time and still give you a good place with which to work. You are getting a good deal with this greenhouse. Quitcent believes you can live an easy life in a simple way. It is unarguably one of the leading brands in the U.S. that produce and sells quality and sturdy structures like grow tent greenhouses, gazebos, marquees and camping tents. It has been in this field for well over a decade and with its wealth of experience, it has risen to a position among the top ten manufacturers in the world with a unique technology and excellent customer service. One of Quitcent’s stunning innovations is its Mini Garden Greenhouse which comes in 9 different sizes to accommodate the size of the real estate you would like for your potted plants. 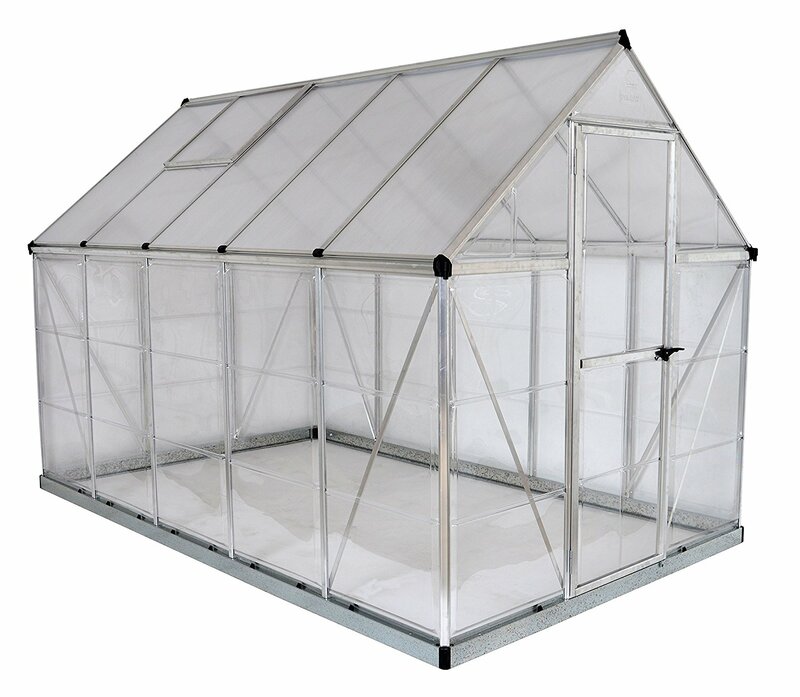 It boasts a durable and heavy-duty construction of high quality and heavy-duty coated steels that form the frame of the greenhouse and a transparent waterproof cover that shades the plants from rain, shine, and dust. The cover also extends further to make the greenhouse more secure and airtight. All you need to do is bury the extended end in the soil and you get the security and protection. 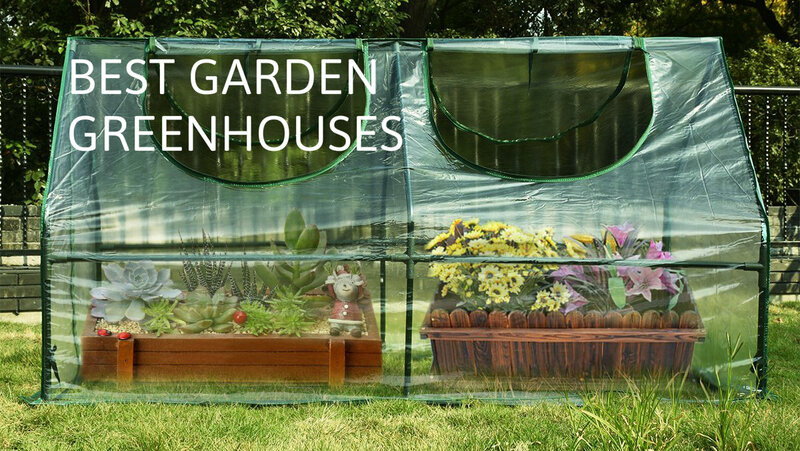 This greenhouse will come in handy in your garden, backyard, patio, or even in your home. It measures 71 inches by 36 inches by 36 inches; which is considerable space to house a good number of young plants, potted plants, and even seedling. It also features zips which provide ventilation and grant you easy access to the plants whenever you need to pay them a visit. You also get more unrestrained access because of the 2 large doors on it that roll up neatly and easily without being a pain in the neck. If you are still a bit skeptical about the quality of this greenhouse then your fears should be allayed by the fact that it is ISO-standard certified as a reliable and durable product that is built to last. And just so you know; it assembles quickly and requires no tools. So, as soon as you have your order of the reinforced cover, steel frames, and 4 zips delivered to you can set it up and start tending to your greenery. What do smart people do when their plants have no home to call theirs? They buy greenhouses! And this is definitely a great option, while you mull over that thought. Best Choice Products started in 2002 and was initially known as Sky Billiards because its production was exclusive to pool tables. As the company started to expand, it transformed into BCP in order to reflect the extensive line of products it now sells. In spite of the name change, BCP has remained committed to its goal; which is to produce and sell quality products at pocket-friendly prices to its customers with excellent after-sales services that are second to none. 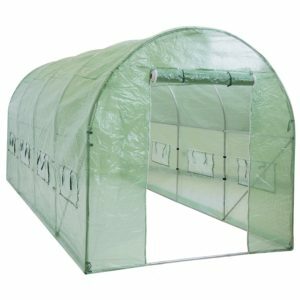 Its Walk-in Tunnel Garden Greenhouse is one of the best greenhouse kits you can find on the market. This large greenhouse offers a whopping 180 inches by 84 inches by 84 inches space for your seedlings, young plants, and potted plants. 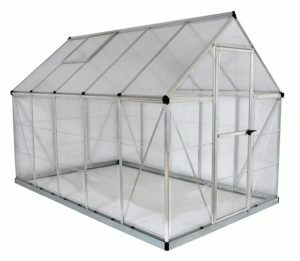 Thanks to the heavy-duty and weatherproof cover and the sturdy steel frames that have been incorporated into the construction of this greenhouse, you no longer have to worry that your plants will get knocked down by strong winds, or get scorched on a hot sunny day because it provides protection for them. And because of the walk-in space it offers, you too can have close contact with the plants, space them properly and cater to their needs whenever you need to. It also features 4 windows that roll-up into a tied bundle on each of its 2 long sides to allow ample light from various angles and proper ventilation into the greenhouse and for the plants’ growth. The steel tubes provide overall stability and strength for the greenhouse with stakes and guy ropes to make the job more perfect so that even dismantling the greenhouse is a breeze. The silver-coated steel tubes mean one thing – they will last long without breaking, rusting, or corroding. This further means you will have this greenhouse in your outdoor area for a very long time while it faithfully serves your green desires. If you love to watch life bloom and your outdoor space decorated with some real green, then buying large greenhouse kits like this one is a no-brainer. Strong Camel is an American brand that is known to make quality and durable outdoor furniture and equipment in order to meet the outdoor needs of its customers. 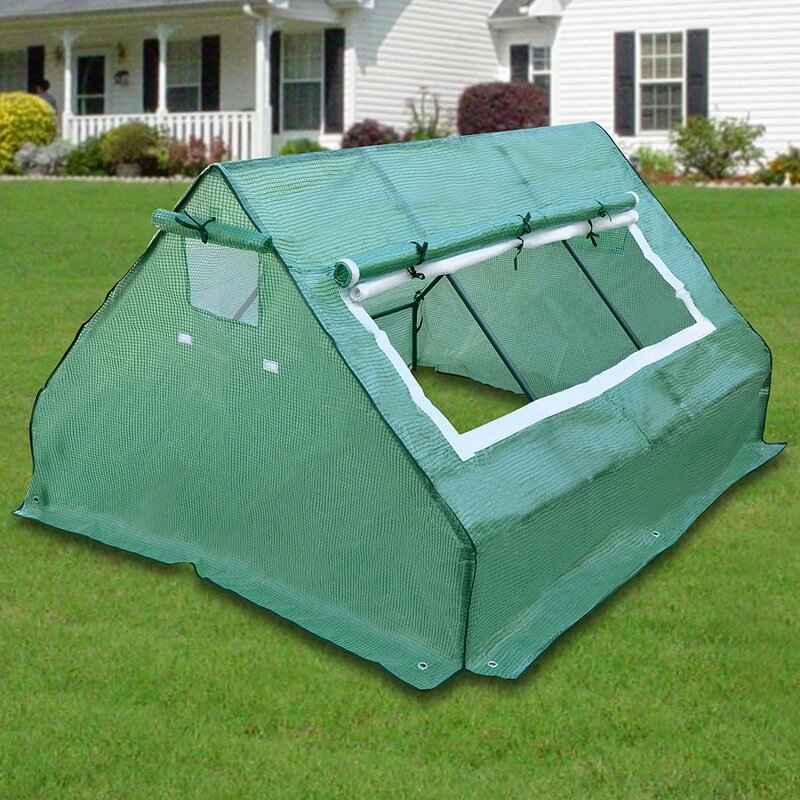 Some of the products Strong Camel manufactures include greenhouses, sports equipment, tents, and canopies, as well as indoor and outdoor decorations. It remains dedicated to meeting the needs of its customers and offers them the support they require to enjoy a great after-sales experience. Its hot greenhouse is your easy go-to if you have been searching for the best greenhouse on the market. It covers a large space of 12 feet by 7 feet by 7 feet for your planting purposes and is covered snugly with a UV-protected cover that protects the plants from the elements. It features 3 windows on each side to allow proper ventilation into the greenhouse and a single door in front to allow easy access to the plants. The door rolls up easily and bundles with ropes that will come with your order to avoid obstructions or disturbances. It is pretty easy to set up and requires no technical skills to have it up and ready for use. This greenhouse is a great idea for backyard gardening and will take a good number of plants, including seedling. The steel frames are all coated with a protective cover so that they can last for a long period of time without corroding or becoming brittle. And when you need to plant vegetables, tropical fruits, herbs, and fruiting plants, you can rest assured that because the cover closes fully, it will do a good job of maintaining the right humidity level that these plants need to grow. It is definitely suitable for all-year-round growing and will hold still in harsh conditions. The challenge, however, is that in very windy areas, this greenhouse may start to bend or even fall apart. 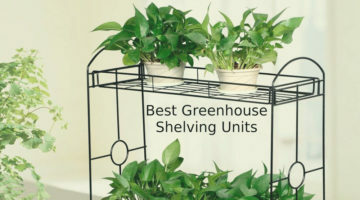 And because most customers don’t want to pass up on the amazing features that this greenhouse offers, they place separate orders for some ground stakes and maybe an extra canopy. Once you have all this in place, ain’t no wind strong enough to pull your greenhouse down. You really don’t want to sleep on this offer, right? So you should place an order for it now. Really, there’s no point delaying a good growing season by a fraction of a second. Or don’t you think? Outsunny is a renowned brand and manufacturer of outdoor furniture and equipment. It has maintained its standard of excellence and commitment to meeting the needs of its customers since its inception in 2009. Its products include outdoor structures, camping, and sporting gear, among others. It consistently grows its customer base by ensuring that only the high-quality products find their way into the market and into the outdoor areas of its customers. 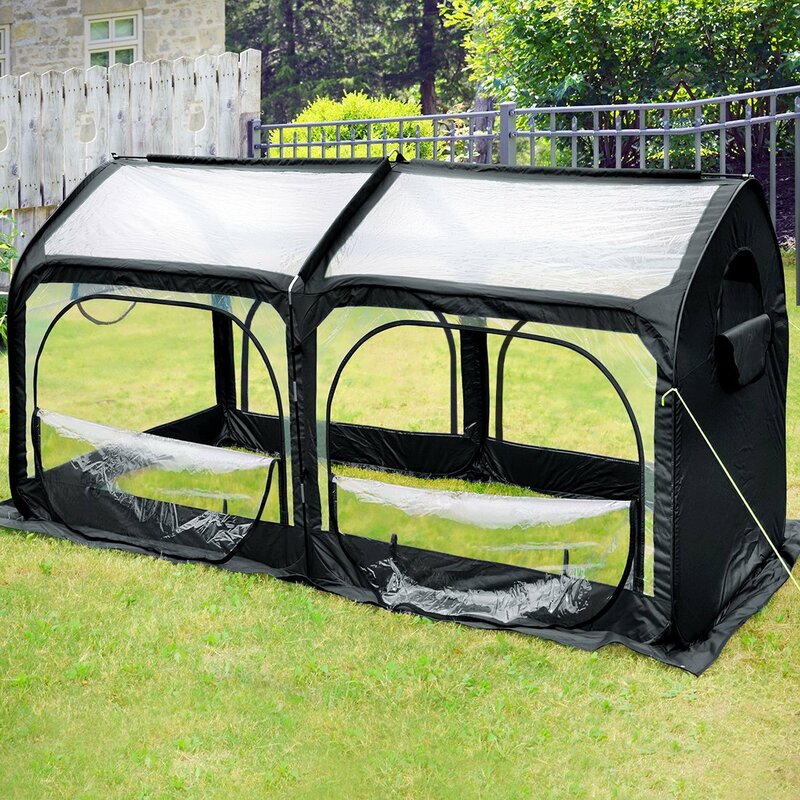 If you are looking for the best greenhouse for your gardening pleasure, then you should take Outsunny’s greenhouse offer which is a portable backyard garden greenhouse that offers generous space for your plants to grow and live healthily. The space it offers is measured 7 feet by 3 feet by 2.6 feet so that you don’t deprive your plants of the space, light, warmth, and air that they require growing. 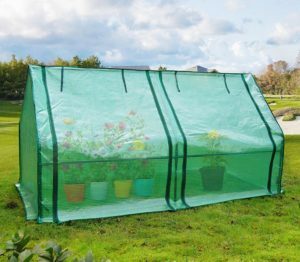 It also has a zippered door that grants you easy access to the plants to tend them and the much-needed ventilation that is required for their growth. 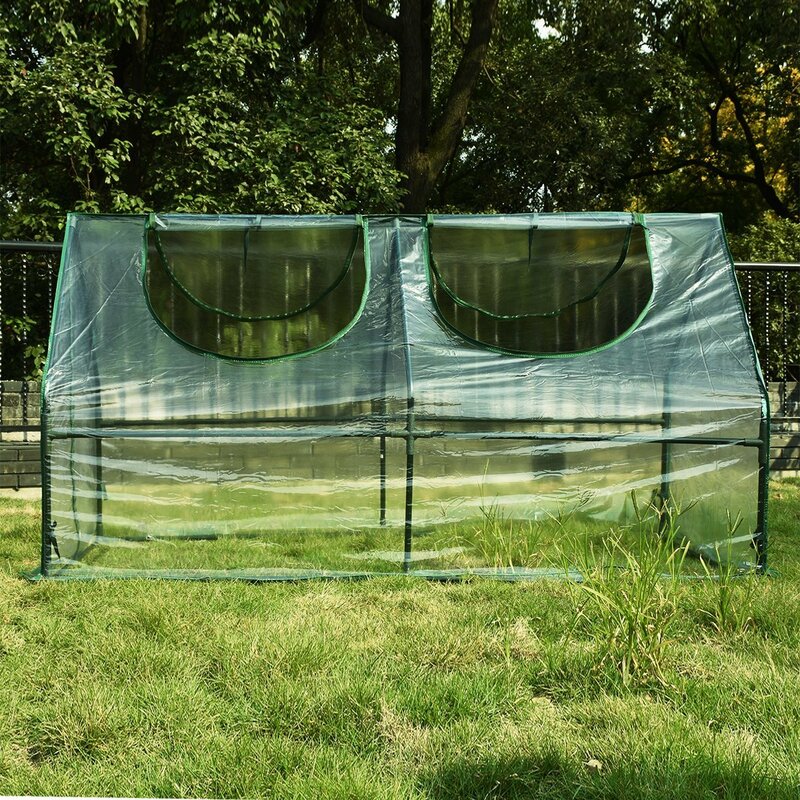 The PVS cover fits over the steel frames and is designed to protect the plants from excessive sunlight, rain, snow, and dust. 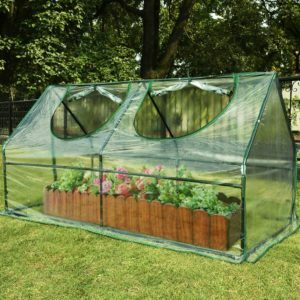 It would definitely make an excellent home gardening greenhouse because of the way it is designed. The steel frames also come coated with protective powder for durability and long-lasting use so that they neither corrode nor get rusted over time. What’s more? The lightweight feature and durability of the steel frames make mobility quite easy so that in the event that you need to move it to a different location, you can do that without hassles. The fact that this greenhouse is “walk-in” provides you with up close and personal interactions with your plants so that you can see in real time what they require and provide it easily. 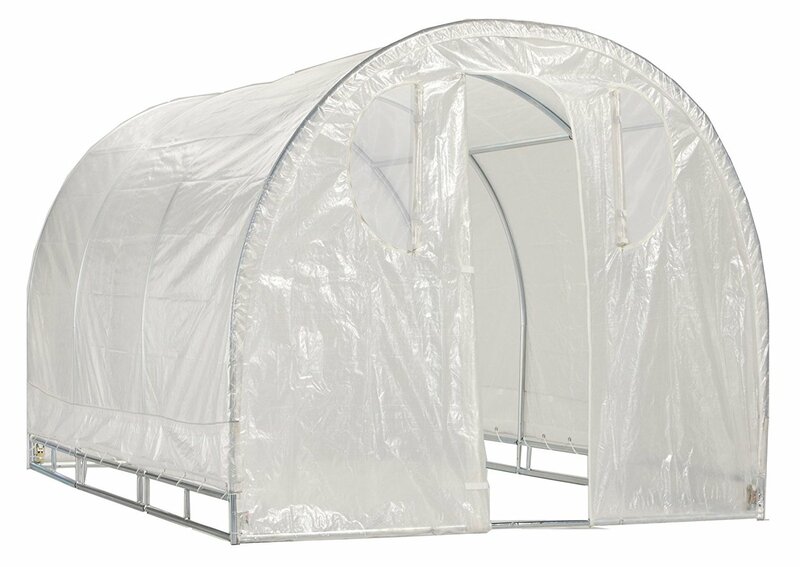 What we love about this greenhouse is that it is lightweight, portable, sturdy and features PVC coverings that protect your plants from the elements. Then again, knowing that it is built to last because of its high-grade construction makes us excited that gardening for you will be a remarkable experience. So, what are you waiting for? Start your gardening already by placing an order for this greenhouse right away. So, there you have it: our comprehensive guide and review on getting your own garden greenhouse. Of course, this is in no way exhaustive but we can assure you that we have covered the basics. Making your choice of a greenhouse unit isn’t so difficult anymore now, is it? Now, go ahead and make your purchase.